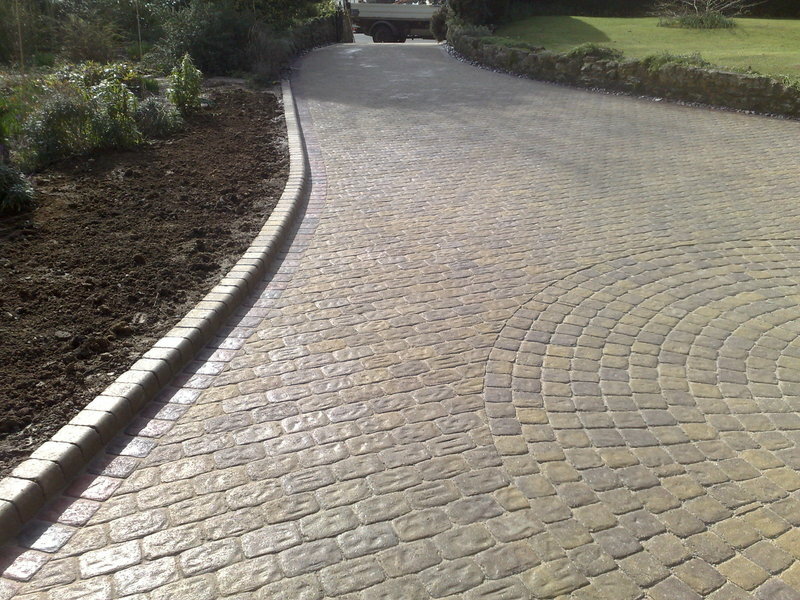 All of the work on our website has been created by the Patio & Driveway Company Limited. (We never use library pictures). With attention to detail and the 25 years knowledge Shawn has gained, our thought and creative knowledge is tailored to individual projects, as though it is our own landscaped area. We advise on the paving choice, colour and the finishing touches. From start to completion we work closely with our clients to provide a courteous professional service. We enjoy the variety of all size projects from a garden path to fully landscaped garden areas and lakes. The largest to date is the Pavyotts Mill Fishery complex, of which includes the construction of 5 lakes up to 14 acres. We enrolled in the Brett Landscaping Installer Scheme. Brett Landscaping are the main supplier for our patios and driveways because we believe they offer first class products to the landscaping market. 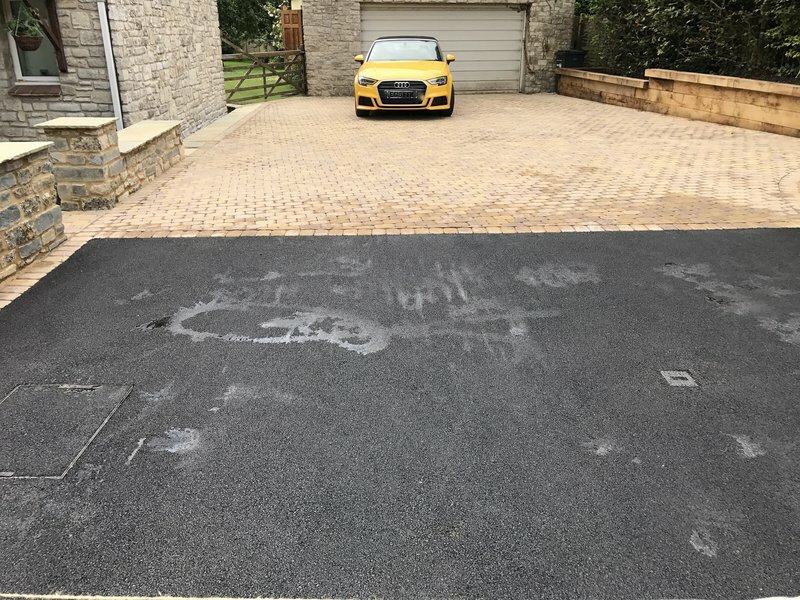 The Patio & Driveway Co ltd won "BEST NEW NATIONAL INSTALLER"
Shawn and the team repaired our terrible patio that had been laid by another company in 2017. They re-did the whole project in a very swift and professional manner. We were that impressed we got them to do our front garden and relay our astro. Amazing customer service and very personable. Delighted with our driveway, it looks lovely and we could not be more pleased. The work has been completed professionally and to a very high standard. No corners were cut with regard to materials used. Shaun and team are very hard working and pleasant and polite at all times. We highly recommend them, so much so that we have already agreed with them our next project. Both Patio and Driveway finished to an excellent standard. Shawn and his team are friendly and polite. The quote outlined all the work and materials required. The job was carried out quickly and neatly - despite interruptions caused by snow. Excellent customer service. I would certainly use him again. I would have no hesitation in recommending Patio & Driveway Company Limited. Shaun discussed each stage with us and we had total confidence in the manner in which the work was carried out. The site was clean & tidy at all times. We felt the whole team were polite, hard working and professional. Shawn and his team have done a fantastic job in transforming our muddy building site of a back garden into something we can now use and enjoy. Quick to get started and get the job done. Extremely pleased with the end result. Will be using again in the future for other works planned. A professional job, in every aspect, from start to finish. Shawn and his team turned our overgrown jungle into a comfortable contemporary living space comprising a landscaped lawn and natural stone patio area, in a very short time-frame. Our expectations were fully met, with clear, 2-way communication and courtesy from start to finish. A thoroughly professional job in every aspect. A great team. They delivered on time to budget and at a level of quality that was impressive. We have had many positive comments from friends and neighbours about the work done. We would happily recommend them to others. They came recommended from three other sites in our village and they delivered to expectations. Shawn and his team have done a brilliant job. They were so polite and professional. We are thrilled with our new drive & pathways. An excellent service-highly recommended.